Welcome to Ladybug Pest Management! We are a family-owned (female and veteran) local exterminator in Delaware. We are able to handle all of your troublesome bug needs both residential and commercial. Ladybug Pest Management offers two unique and highly effective weapons in the fight against bed bugs along Delmarva and their names are Daisey and Dolley! 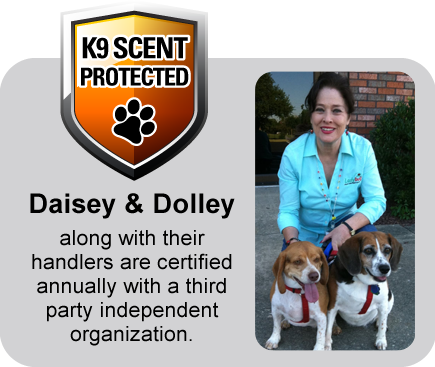 Our beagles are certified and trained to detect bed bugs spot on. Ladybug Pest Management will regulate, eliminate or exterminate whatever’s bugging you in your home, business or property. We continuously strive to exceed your expectations of services for exterminators in Delaware! Check out our story on WRDE!